Looking for something fun and useful to gift a special friend this Chanukah? 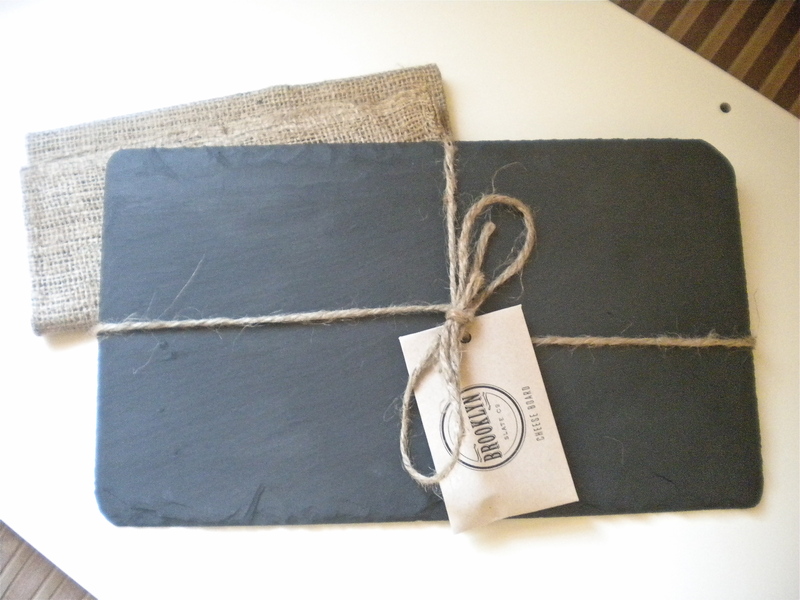 My Brooklyn Slate Co. cheese board just arrived last week (thank you Fab.com!! ), and can't wait to put it to some party-hard use!! 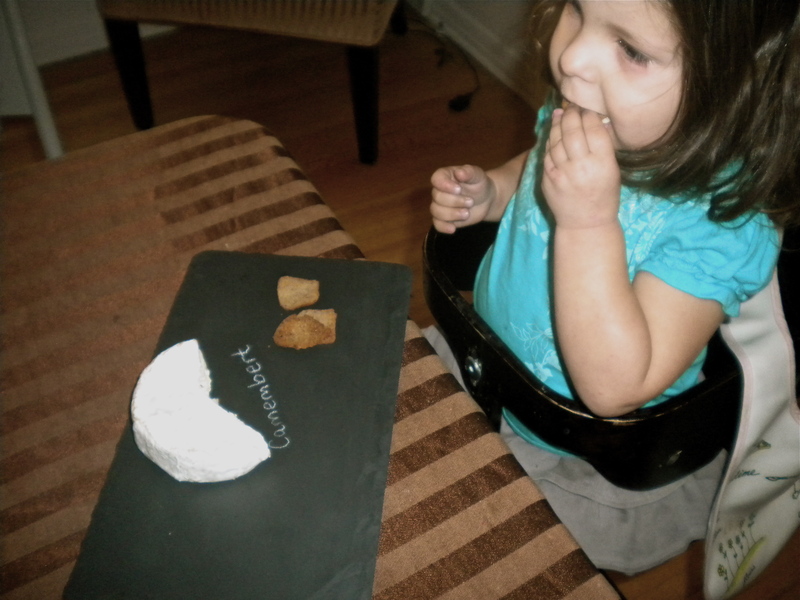 I couldn't even resist trying it out right after opening, and whipped out some soft cheese from the fridge to experiment the chalk use on the well-oiled slate. 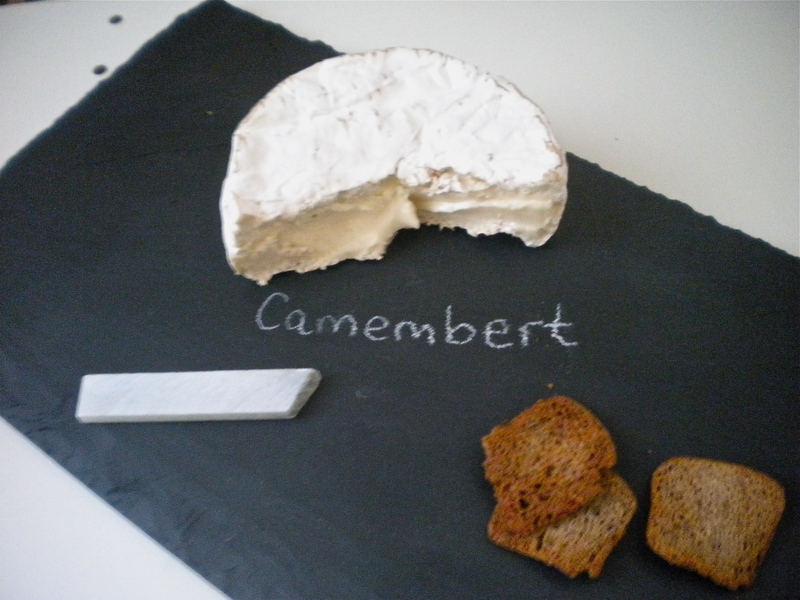 The effect was positively lovely, and it even brought about some Camembert taste-testing from my cheese-loving 3 year old! Check out the Brooklyn Slate Co. lookbook for serious slate inspiration. 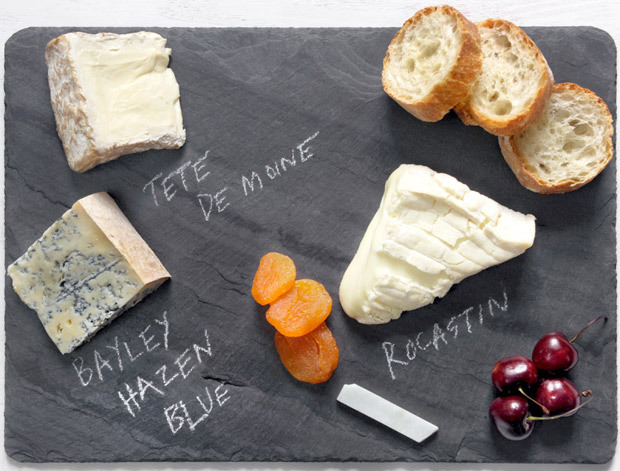 Their boards lend just the right amount of rustic warmth to liven up any festivities via cheese, fruit, or anything at all! Perfect addition to a Chanukah latke layout - nothing like some specialty cheeses to really get the party started! P.S. It's still available on Fab from $16 - $20!! Check it here. categories / An Honest Steal, Foodies, Health, Into the Mouths of Children, Momism, Nesting, New @---, Sale Alert!! !